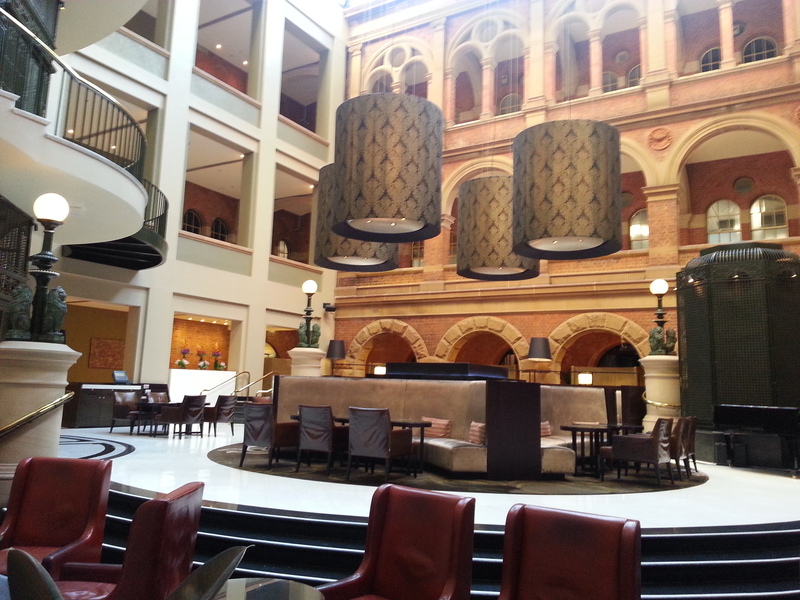 The Intercontinental at Sydney welcomed us after a 25-hour flight in British Airways excellent Club World class. We had chosen this hotel after carefully reviewing a selection of five-star properties of the city and discarding them for a variety of reasons: Park Hyatt being by far the most expensive, with rooms at 700 USD; Shangri-La, The Darling and The Westin, because they were in the Rocks district, and while only five minutes away by foot from the Circular Quay, we had only a day in the city. 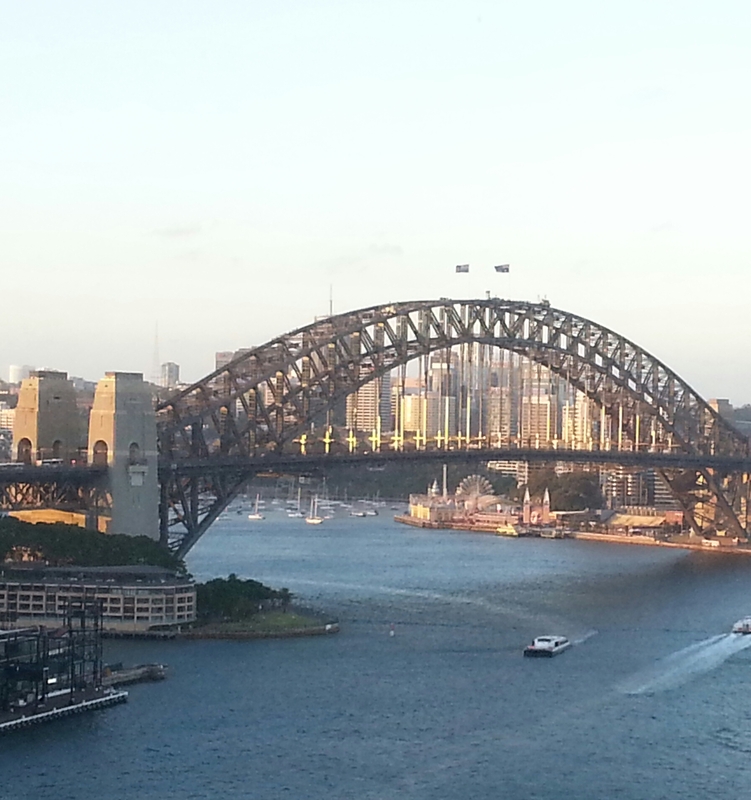 View from the Intercontinental, Sydney. We were not disappointed: the room had magnificent views to the harbour, Opera house side, and the common areas of the hotel were impressive. 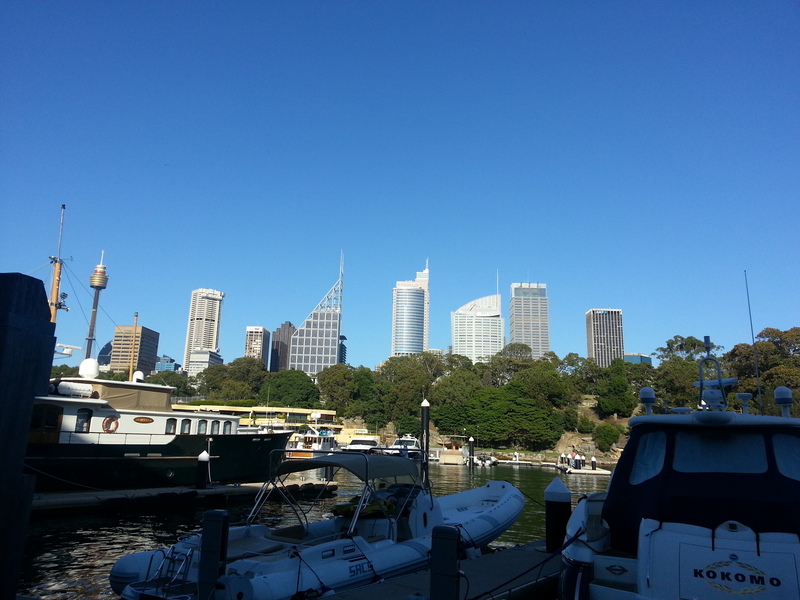 We reached the Sydney Harbour in less than two minutes, went as far as the Museum of Contemporary Art which ironically is in the Rocks, where we ended up spending quite a good amount of time shopping. In retrospect, I would still recommend the Intercontinental but perhaps we could have thrown in a beauty treatment at Chi, the highly recommended spa of the Shangri-La. We then went on to our planned visit at the Royal Botanic Gardens which was like seeing old friends (we had spotted the friendly bats on a previous trip in 2006) and finished the visit with a walk through the bohemian chic and yet still unspoiled Potts Point quarter. The Blue, a Taj hotel, caught our attention because of the way it integrated with the wharf buildings and how reminiscent it was of a 1920’s decor (in a good way). Sydney downtown view from the other side of the Botanic Gardens. We ended up our Sydney day with a lovely dinner at the Sydney Cove Oyster bar, whose staff is consistently efficient and polite throughout the years. And the oysters do not disappoint, either! 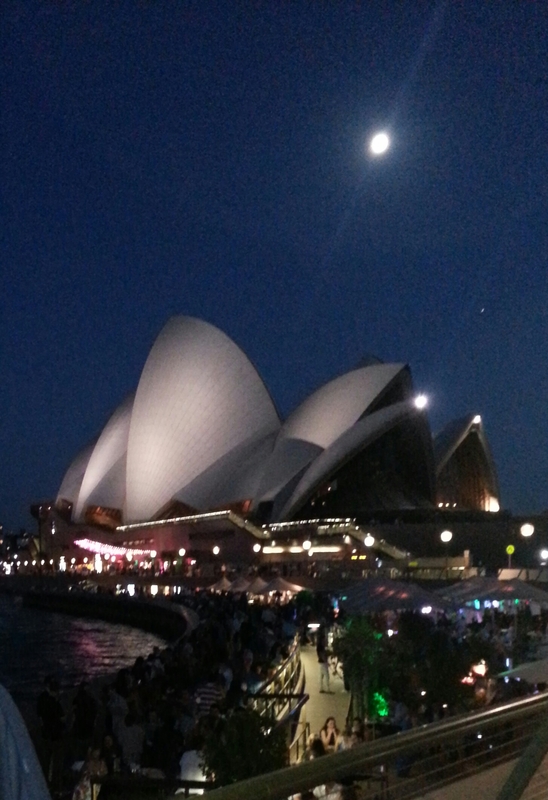 It was a cool night with full moon and the quay was brimming with groups, couples and tourists enjoying what Sydney nightlife had to offer. The Sydney Opera House from the Sydney Cove Oyster quay terrace. ← Brasil, ¿país del futuro?